1. It's relaxing! I always get energy back after working on embroidery for awhile. 2. It's meditative. The repeated movements becoming a pattern, creating a picture. It's a great way to destress and be creative. 3. Working with tactile materials. 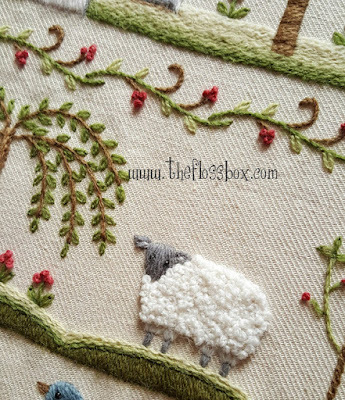 The yarns and fabrics are so delightful to touch, so many different feelings.. soft wool, cool rayons, smooth cottons. Try them all and see what they add to your work! 4. It's all about color! Reds, greens, browns, blues, variegated! So much beautiful shades to combine and play with. 5. Collecting. If you love collecting, embroidery is definitely the thing! So many types of threads to collect and enjoy. 6. It's great for decorating. 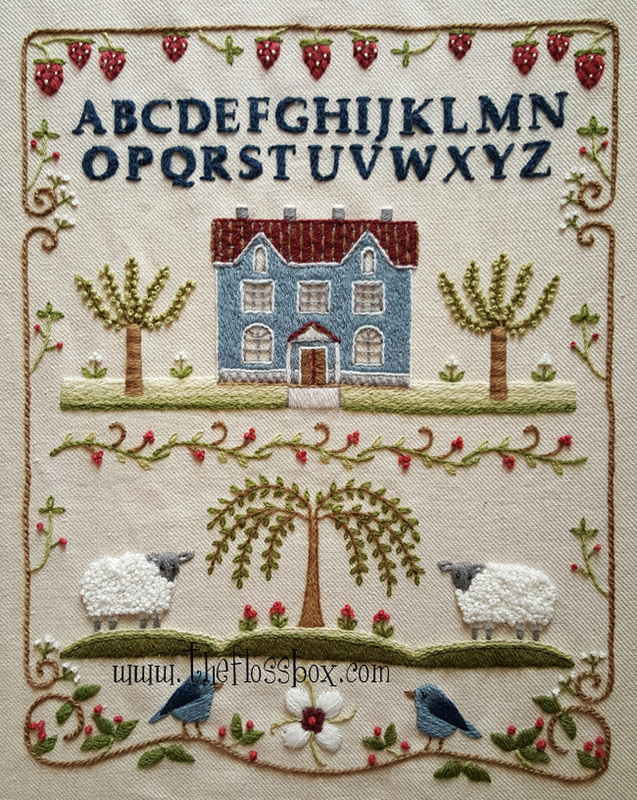 Embroidered pictures, wall hangings, pillows, quilts, clothing and on. Add a personal touch to your home with your own handicraft. 7. It's an art form. Like all art forms, embroidery allows for endless possibilities for self-expression. Use it to show the world what's on your mind! 8. Connect with an ancient tradition. Embroidery has an amazing history. It was once the primary way to decorate fabric. Museums, books, and online resources are a great way to learn more. 9. Working with sparkly stuff. Yes, this is the super cool part, the beads, the metallic fibers, it's all so fun! And it can add a lot of interest to your work. 10. There is so much to learn! So many styles, so many designs and materials, so many ways to show the world your work. 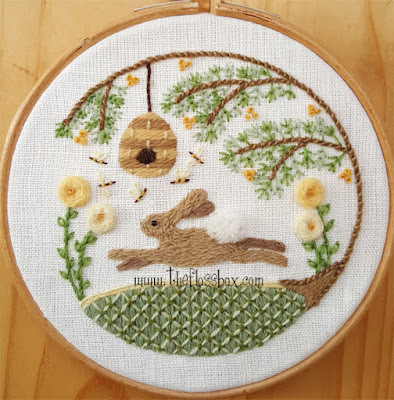 Give embroidery a try if you haven't yet! I'm always willing to answer beginner questions, and inspiration is always free! The little sheep looks so huggable there next to the scary pumpkin! I really love the warm fall colors. They are so nice to look at and work with. I'm still working on this blog thing, there is a lot more I want to do with it, but I'm still trying to find what it is exactly that I want to say. I probably just need to sit and really think it over, but I promise it's coming. I really do want to share what I've learned about inspiration and creativity with others. Right now I feel like I have more books in me. I really enjoyed writing the first two, and I know the next one will be even better. I learn a lot myself too as I write them. For now, I will leave you with this thought! Don't let the negative thoughts win and kill your creativity (yep, I've been there!). Push them out of your life, it's way to short to let them limit you in any way. 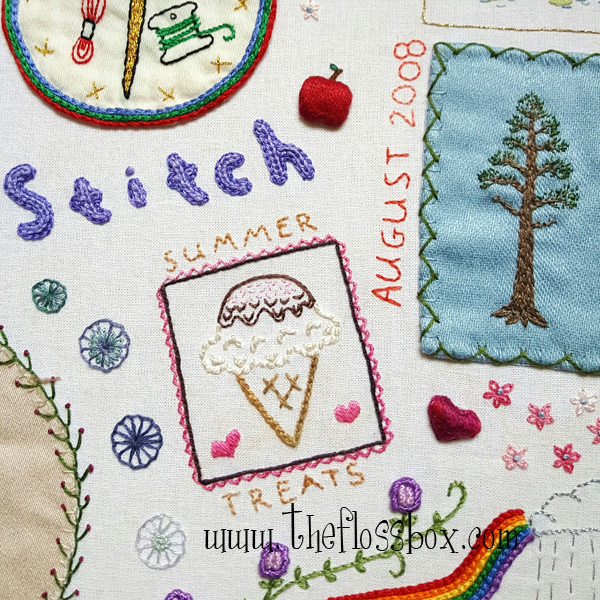 I'm still working through the pile of embroideries for posting on Instagram. It's like a little trip down memory lane looking at my projects. I think I said this before, but they always bring back memories and feelings of what I was doing or thinking when I made them. Sometimes, of course, it's things I would rather not remember, but not too often. I'm working, working on putting the past in the proper perspective. It's over and gone, the mistakes and pain can be forgiven and let go of. Easy to say, hard to do, but isn't all of life a series of baby steps? I worked on this over several months, but I remember at some point feeling a bit rushed to finish and call it done. Sort of a shame, but it was for the sake of moving on to something new! I haven't made another one of these since this one. I did start one, but fizzled out. I'm wondering if it's time to try something similar. Anything I do like this today would turn out very very different. 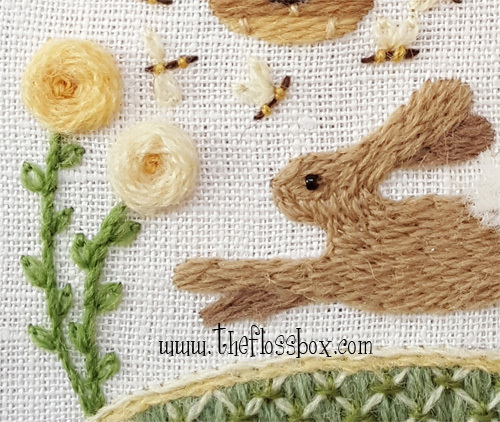 The Hare Crewel Embroidery has been a long favorite of mine. It was fun to design and stitch. The motif seemed to fun not to play with some more. Way too fun! So I've made a follow up in the series, yes, it will be part of a series, yet to be created, but I have a start! 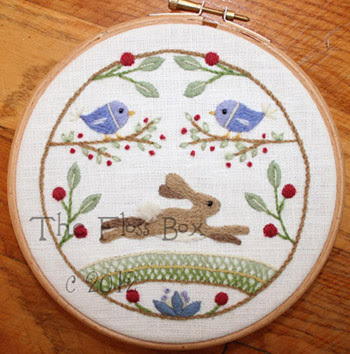 The Summer Hare Crewel Embroidery Pattern is the first. I love the colors in this! So warm and soft, feels just like a hare out in the meadow. A couple closeups. 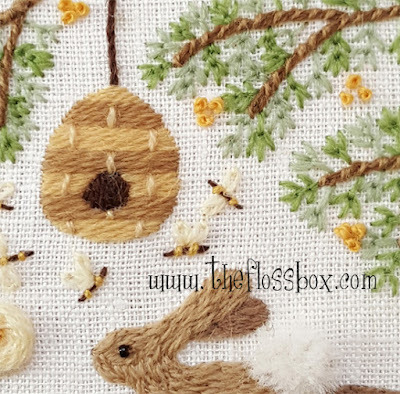 I just love embroidery closeups!! The rest in the series are yet to be created, and I am definitely looking forward to them all. So much fun playing with little animals! 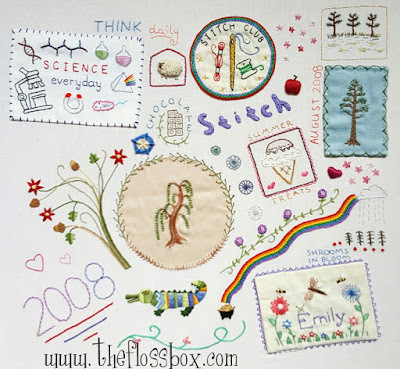 This week I've taken another look at the Crewel Sampler project I made a few years ago. This one was bigger than many of the others I have done. I do really enjoy a larger project now and then, they give me a chance to really spend more time with an embroidery and develop the idea further. 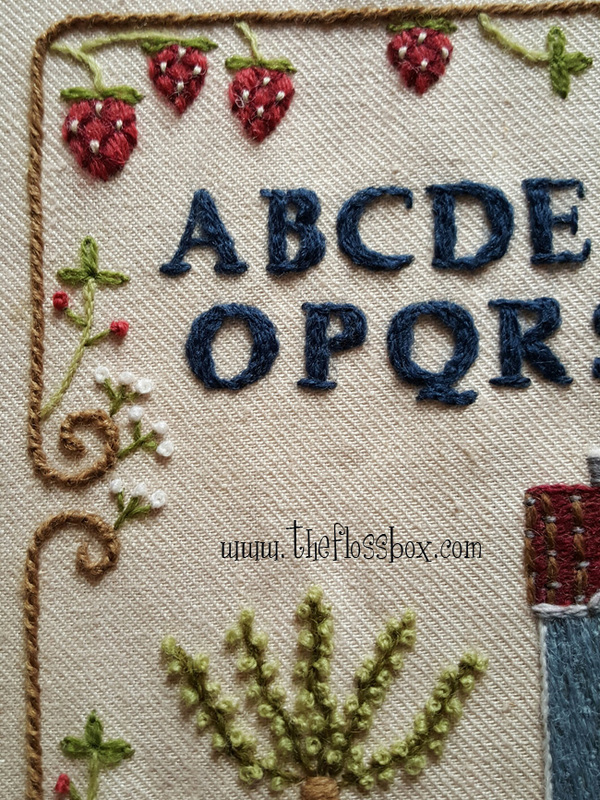 I really wanted the look of an old-time sampler but with a little more modern feel. 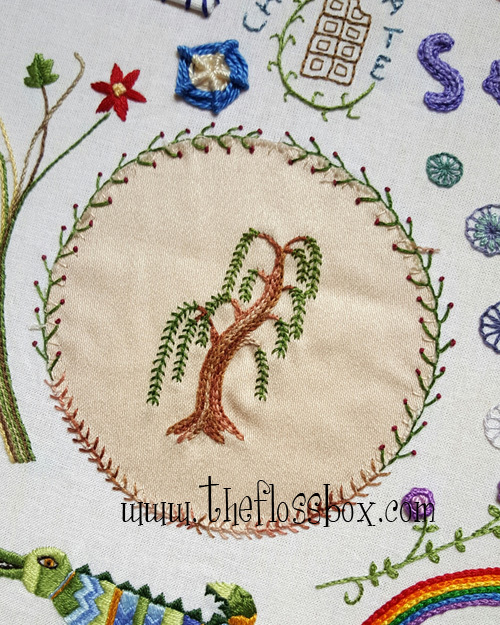 I'm not sure I captured either so well, but I do like the elements quite well, and it was an interesting challenge to design and stitch this piece. I'm glad I created this one! For this project, I used real linen twill, probably one of the most expensive fabrics I ever used! It was lovely to work with, perfect for a project that might is intended to be an heirloom. Summer flying by, I hope you are enjoying it!